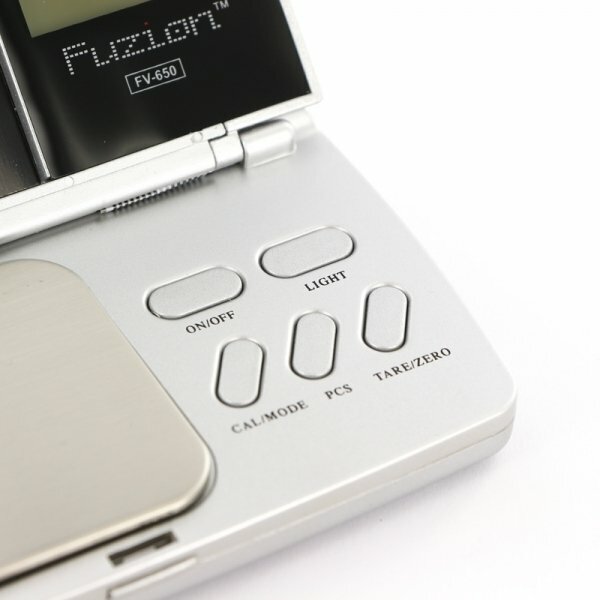 The Fuzion FV650 scale by Fuzion comes in a silver color and is protected by a tough, flip-top clamshell cover. 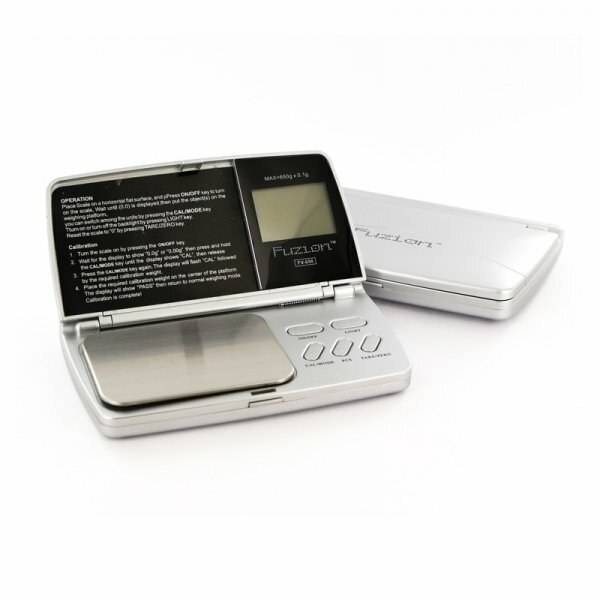 This scale weighs up to 650g, is accurate to 0.1g, and operates in a choice of 4 weighing units. Display is an LCD readout with auto switch off. Comes with a 30-year lifetime warranty. 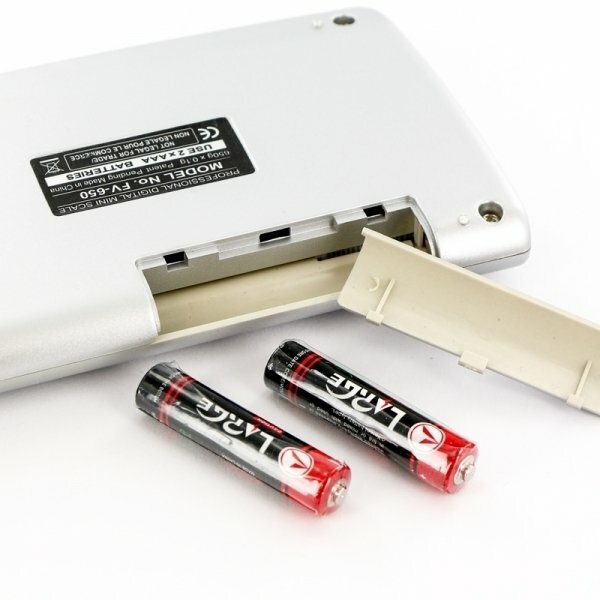 Uses 2x AAA batteries (included). This fuzion scale is compact & have a good precision. Its best in its class & I recommend it. Secure and fast shipping from Zamnesia!